Asheville School will host an art opening featuring Asheville artist Douglas Lail on Thursday, January 12, from 6 p.m. to 8 p.m. in the Walker Art Center’s John M. Crawford Gallery. 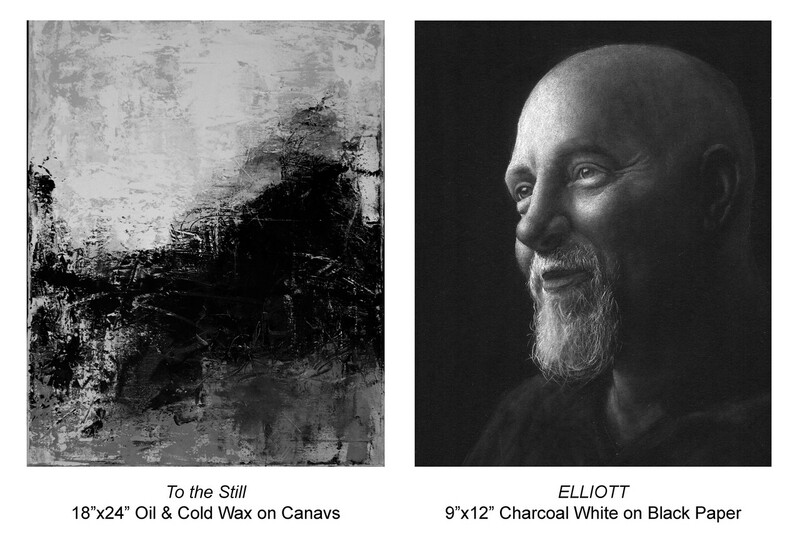 Lail’s exhibition, “Counterpoint,” juxtaposes abstract oil and cold wax paintings with realistic portraits made with white charcoal on black paper. He describes his abstract paintings as “gritty, less refined reminders of the ever-present tension between man and nature.” These paintings contrast with portraits from his “Hello My Name Is…” project, which explores “personal recovery stories which look at the positive impact recovery is making in the lives of individuals, families, and the community,” according to Lail. John M. Crawford Gallery Curator Casey Arbor follows Lail’s work and is pleased to share this exhibit with the community. Lail will attend the opening, which will be in Asheville School’s John M. Crawford Gallery. The opening is free and open to the public, and light hors d’oeuvres will be served. “Counterpoint” will be on display from Jan. 12 through March 3. Directions to Asheville School are here.<http://www.ashevilleschool.org/about/campus-map> For questions, contact John M. Crawford Gallery Curator Casey Arbor at (828) 254-6345 ext. 4037.